Nothing feels more like fall than feeling the weather change, watching the leaves turn color, and smelling warm cinnamon pumpkin bread baking in the oven. The sweet smells of pumpkin and spices are so comforting— and best yet, they taste delightful too! 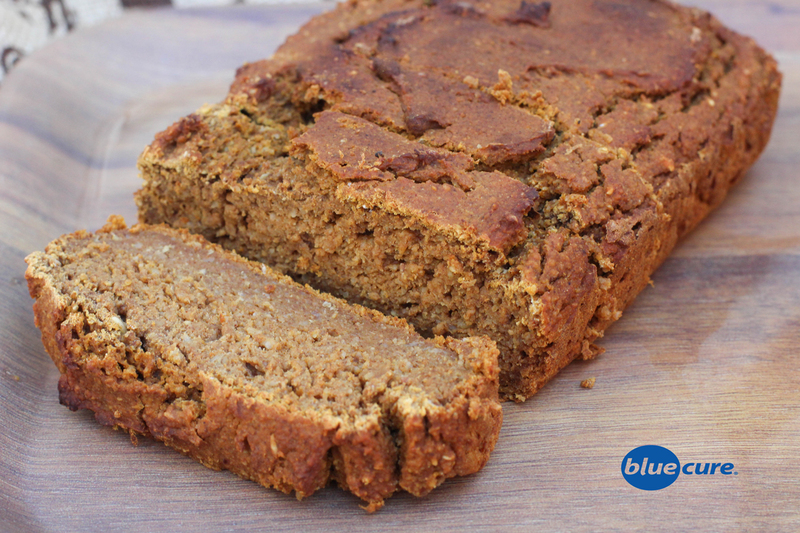 This pumpkin bread is made with whole foods ingredients; no added sugars–just fruit, whole grains– oats, and nothin’ but pure love! Healthy and delicious, wholesome pumpkin bread that can be enjoyed as a tasty treat or healthy–yet sweet– breakfast bread! Enjoy! Preheat the oven to 350F. In a dry blender, add 2 cups of rolled oats. Blend until fine like flour. Pour into a large bowl and add the baking powder, cinnamon, cloves, and nutmeg. Stir until evenly distributed. In the blender, combine the pumpkin, dates, and bananas. Blend until smooth. Pour the mixture into the bowl with the flour. Stir until well combined. Line a loaf pan with parchment paper or use a small amount of coconut or avocado oil to grease the sides of the pan. Pour the batter into the pan and bake for 50-60 minutes. To test if it’s done, poke a tooth pick in the bread. If it comes out clean, it is done. Remove the bread from the pan and allow it to cool. Slice and serve by itself or serve with homemade cashew cream for a healthy dessert or breakfast option. Store the bread in the fridge and eat within a few days.